Beginning August 1, 2017, North Dakota residents will be able to carry a concealed handgun without obtaining a special permit. 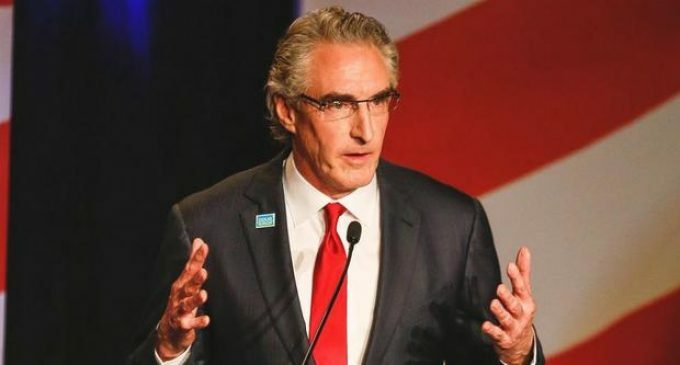 Governor Doug Burgum signed the new law into effect on March 23 after its passage by the North Dakota Legislature. The new law allows concealed carry for individuals who have a valid North Dakota driver’s license or state ID card for at least a year. It applies to people only within the state and does not allow North Dakota residents to conceal carry outside of North Dakota without the proper permit. The bill did not change locations where gun owners are allowed to conceal carry firearms, such as schools and other public buildings. Both houses of the Republican-led Legislature approved the bill overwhelmingly with any dissent restricted to Democrats. Find out more about the details of the new law and how North Dakota law enforcement officers are reacting on the next page. Redundant to the 2nd amendment ! It’s more of a gesture. I would feel more comfortable seeing it on the hip of some random person more than I would in the waistband. I don’t know if that person has training or just decided he wanted to carry that day. Criminals carry everyday without a permit, we have to level the playing field. I’m all for allowing citizens to carry. Don’t get wrong. To me if they open carried it wouldn’t bother me. I would just know if something went down I would rather be behind them with my gun instead of in front of them when they pull out theirs because I don’t know what testing and how familiar with a firearm they are.